Located adjacent to the listed maternity building within the Lagan Valley Hospital complex, the design comprises a four storey building and adjacent car park on the steeply sloping site, set on a plinth which integrates into the ground at the main entrance. The complex of three office buildings on Baggot Street is a Dublin Landmark recognised, as much for their transition from Georgian Dublin to higher development, as for their international flair. The complex was designed by Ronnie Tallon of Scott Tallon Walker Architects as high-end corporate headquarters and was constructed in two phases during the 1960s and 1970s. A new £30m Community Treatment and Care Centre (CTCC) in Newry, the site is located adjacent to a listed building and lies between a Landscape Policy Area and a Conservation Area. Queens University-School of Biological Sciences Scott Tallon Walker Architects in conjunction with White Ink Architects were appointed in 2012 to a new project at Queen’s University Belfast following a competitive tender process. The location of the new facility is within the demise of the current air traffic control facilities at Dublin Airport. The site and the surrounding area is generally level with sparse, low level development adjacent. The height of the new structure will ensure that it will become a significant feature on the Dublin skyline and an essential part of the Brief is to provide an elegant, modern structure, identifiable with the professionalism of the Client organization, that will become a worthy symbol for Dublin, Ireland’s gateway city. Blackrock Clinic in Blackrock, Dublin was co-founded in 1984 as a private, high-tech hospital offering healthcare to private patients. A teaching hospital, it is associated with both the Royal College of Surgeons in Ireland and University College Dublin. Brewery Quarter - Arena Filling a well publicised need for a large scale entertainment venue for the Munster region on a prominent site, it demands to be treated as a civic building architecturally. This is a ‘state of the art’ conference, entertainment and exhibition venue (with a capacity for 6000 people) and stems from detailed and specific brief evolved from an in-depth analysis of flexible arena buildings, adapted by Live Nation, the proposed operator, for the Irish market. This 413 Bedroom Student Accommodation development is part of a wider mixed use urban regeneration project, including a new events centre, on the former Beamish and Crawford Brewery site in the historic medieval core of Cork city. 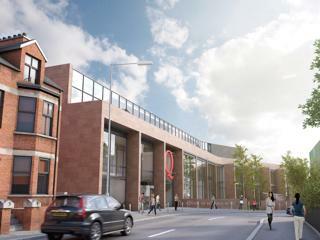 The site is located between South Main Street and a turn in the south channel of the River Lee where a new pedestrian bridge and street, Lamley’s Lane, will form a new east west route linking the University to the city centre. Fassaroe Old Connaught Urban Redevelopment STW have been working with the Cosgrave Property Group for a number of years on the development of the master plan for a new town which will extend Bray eastwards across the N11. A partnership between University College Dublin and the National Library of Ireland, the Museum of Literature Ireland (MoLI) is a new landmark cultural institution in the heart of Ireland’s capital city. Named for James Joyce’s muse Molly Bloom and picturesquely located on the southside of St Stephen’s Green in one of Dublin’s finest historic houses, MoLI will celebrate our internationally-renowned literary culture and heritage from the past to the present, inspiring the next generation to create, read and write. Immersive multimedia exhibitions, priceless artefacts (including Joyce’s own ‘Copy No.1 of Ulysses’), lectures, performances, cutting-edge children’s education programmes, historic house tours, digital broadcasting, research facilities and a café set in one of the city’s most beautiful and tranquil gardens will make the Museum of Literature Ireland a major contribution to the local and international literary landscape. The Museum of Literature Ireland will open in Spring 2019. NUI Maynooth Student Centre The centre will serve as the hub for student life on the campus and is part of the next phase of Maynooth University’s campus development plan. The plan is aimed at providing the critically important campus buildings and infrastructure needed to meet the changing needs of students, staff and the wider community. This 100-bed residential healthcare unit is is approximately 6,700 sq.m over two floors, arranged as two interlocking squares with private courtyards set within a parkland environment. The service is split equally between rehabilitation and elderly care residents. It is approximately 6,700 sq.m over two floors, arranged as two interlocking squares with private courtyards. University College Dublin seeks to enhance the University’s reputation by providing a welcoming collegial environment, designed to strengthen the links between the university, alumni, and the community it serves. It is proposed that the approximately 1,835 m² UCD University Club is developed to provide University staff, corporate clients and the community with a first class social engagement setting, complemented by the excellent existing conference event facilities of O’Reilly Hall. The UCD University Club will have its own identity and will be visible and accessible to all faculty, staff and alumni members on campus. Scott Tallon Walker have had their offices at No. 19 and 20 Merrion Square in Dublin for over 70 years. In early 2017 the offices underwent a major refurbishment. A particular challenge, which applies to all Protected Structures, was the upgrading of essential electrical and fire safety installations whilst preserving the historic fabric and features of the building. The new headquarters for, Arthur Cox, one of Ireland’s leading law firms, provides state of the art office meeting and social spaces in an elegant, sophisticated and relaxed interior designed to reflect and enhance Arthur Cox’s corporate image, culture and values. Arthur Cox solicitors had outgrown their office space and the practice moved to a new Headquarters building in mid 2017. The Ballinasloe Library development of the former Mercy Sisters Convent (c 1850) consists of a public library and gallery space, together with office and associated uses. BHR University Hospital - Emergency Dept This Project was carried out under the NHS SBS framework. In 2017, Scott Tallon Walker were appointed under the NHS SBS Framework to undertake a project at the Queens Hospital in Romford. The Emergency Department at Queens is one if the busiest units in the UK. The Trust had been allocated special emergency funding by NHS England to address capacity issues and improve Emergency Department experiences for patients and staff. Competition design for a landmark Commercial Development located in Dublin’s North Docklands Strategic Development Zone. The design proposed of 34,000 sq.m of column free, Grade A Commercial offices in a sustainable complex of 3 buildings. The south facing glazed façade is shaded by a series of storey height dichroic glass fins designed to create a subtle sparkle of changing prismatic colours, enlivening Mayor Street, Dublin North Docklands principle artery. The new Library at MIC is part of a landscaping masterplan for the campus. It will create the northern boundary to a new Library Plaza. The plaza will be an outdoor room and focal meeting point in the heart of the campus. The paved plaza to the south-west will connect the Tara building, the Quad and chapel with the new library. The Materials & Surface Science Institute is a centre of excellence generating state-of-the-art fundamental research in the design, synthesis, processing, characterisation and modelling of materials. STW were commissioned to design an extension to accommodate the institute’s expanding multidisciplinary team of scientists (chemistry, materials science, physics and biochemistry) and engineers (mechanical, aeronautical, biomedical, manufacturing and electronic). Nuffield Health are a charity organisation providing private health and wellbeing services to the UK working in partnership with a large number of NHS, independent sector and corporate partners. 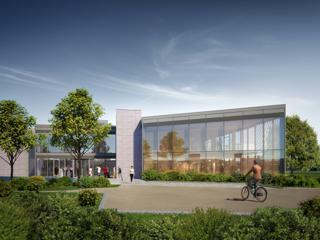 The Education Hub is part of the masterplanned expansion of the NUI Maynooth “Broadwalk” on its North Campus. It forms a gateway opposite the Library and Resource Centre, also STW designed, and is the third recently completed building by STW on campus. Our Lady's Children’s Hospital, Crumlin is an acute paediatric teaching hospital providing the majority of quarternary, tertiary and secondary healthcare services for children in Ireland, with particular specialisms in childhood cancers and blood disorders, cardiac diseases, major burns and cystic fibrosis. The design of a new paediatric intensive care unit called for an approach based on simplicity, a respect for the work of medical and nursing staff, and an understanding of the needs of children and their families. RTÉ is a semi-state company and the national public service broadcaster of the Ireland which produces programmes and broadcasts them on television, radio and the Internet. The crèche is located within the grounds of the famous Donnybrook studio campus and includes sleeping areas, laundry room and a covered play area. The single storey crèche building is capable of daytime care for up to 80 children. The new Trinity College Dublin Business School is a state-of-the-art development located on campus in Dublin City, Ireland. The project will support the activities of the Trinity School of Business and the Department of Innovation and Entrepreneurship and will provide 12,000m2 of accommodation along with the restoration of 8 protected structures to provide student apartments. This project leads the University of Surrey ‘Innovation for Health’ campaign, which address the demands our aging population place on the health service, providing skilled graduates to develop technologies such as remote monitoring and personalised care, not possible in today’s health system. The new Engineering for Health Learning Lab will move educational facilities in STEM Disciplines to a new level commensurate with future industry and societal needs. In October 2016 Wexford County Council appointed Scott Tallon Walker Architects to prepare an ‘Economic Action Plan and Spatial Implementation Plan’ for the Wexford Quay area. King Saud University is the largest and most prestigious university in the Middle East. Established in 1957, the university currently enrols over 60,000 students. In late 2010 Scott Tallon Walker Architects were appointed to design and deliver new academic buildings and facilities for the College of Sports Science and Physical Activity, a key element of the phased implementation of the university masterplan. The Jenner Building is a purpose-built laboratory research facility at the Pirbright Institute and forms one of the first buildings to be delivered within the DP2 development programme at the campus. The new, stand alone building replaces existing accommodation at both Pirbright and Compton campuses and provides a dedicated home for 90 scientists, including those recently relocated from the Roslin Institute. The whole campus has an area of 16.2 ha and comprises a Major Developed Site within the Green Belt. The Jenner building represents a high quality contemporary facility which sits comfortably within this campus context, within the emerging Masterplan and the proposed campus transformation that is envisaged, where the building will form a backdrop to a new landscaped quadrangle. Royal College of Surgeons Masterplan Scott Tallon Walker Architects were approached by the Royal College of Surgeons (RCSI) to develop an exciting conceptual Masterplan for a site, in their ownership, lying to the south of their present premises on St Stephen’s Green and York Street. The existing Tara Towers hotel site is a highly prominent site located on the busy Merrion Road, with the potential for excellent views out over Dublin Bay from the upper levels. The site has frontage along the Rock Road with the potential for a prominent Hotel presence as well as excellent views East over the Booterstown Sanctuary to Dublin bay and South East across Dublin Bay to Dun Laoghaire Harbour. UCLH Clinical Research Facility The NIHR UCLH Clinical Research Facility (CRF) is a facility dedicated to experimental medicine and clinical research. CRF have moved from their previous home in the A&E department of the main hospital to the 4th floor of 170 Tottenham Court Road, a 2 minute walk away. Elevated above a river meander, the site of Keeper House is bounded within a Special Area of Conservation encompassing magniﬁcent mature trees. A Neolithic ring fort to the north east, bears witness to the providence of the land. Views of distant mountains emerge through the trees to the east and south. The client sought a contemporary design approach to capture the unique characteristics of the site, to include a house and a separate lodge with its own aspect and privacy. The brief proposed a low energy design, maximising visibility, connectivity and enjoyment of the natural habitat as project criteria. The challenge to design a new and modern stadium in the heart of the Royal Dublin Society Campus in Ballsbridge, Dublin is a unique and exciting one. It is understood that the RDS is a dynamic and flexible organisation whose ability to develop and adapt its facilities, throughout its history, has led to its continued success as a multi-purpose venue renowned the world over. 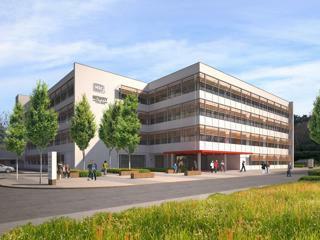 Carlow IT Campus The proposed development will consist of a new Research, Development and Innovation Building to be located to the West of the existing principle campus buildings Nore & Slaney buildings on The Institute of Technology Carlow Campus, Kilkenny Road, Carlow. National Children’s Hospital Competition The proposal to build the New Children’s Hospital (NCH) on the St James’s Campus (SJH) offers a once-in-a-lifetime opportunity to develop a truly world-class healthcare campus; integrating a modern, purpose built and child focused children’s hospital with the existing excellent facilities of St.James Hospital alongside a new maternity hospital in an exemplar tri-located model. NUI Maynooth Library Extension New technology is changing the face of the university library. 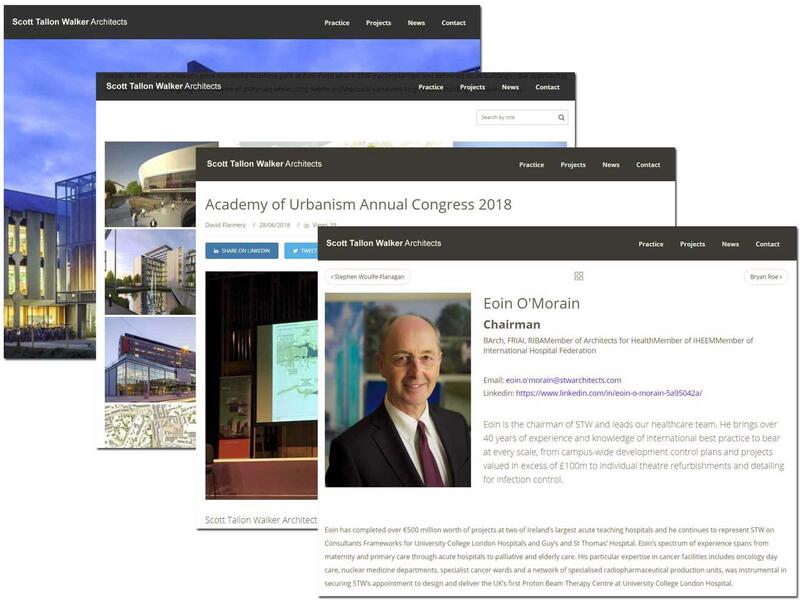 In undertaking to extend and renovate their 30 year old facility, the National University of Ireland, Maynooth, aspired to create a new model of library for the 21st century and project a new identity for the university. Broadcasting worldwide is going through a revolution, driven by digital technology. The built environment required to handle the digital era must deal with major changes including the need for large servers, studios which can deliver high definition television and an organizational change to handle new technologies, including internet, podcast, interactive TV etc. Scott Tallon Walker working with RTE undertook a study and analysis of their existing facilities. Flowing from this study the practice was commissioned to design a new 80,000m2 media centre to re-house the entire RTE organisation on a site located beside the current buildings on the existing campus at Donnybrook in Dublin. STW were commissioned to provide a high quality fit-out and interior design service for McCann FitzGerald Solicitors. Scott Tallon Walker were retained to re-design a 10,000m2 Nanotechnology research Institute, known as the King Abdullah Institute for Nano-technology (KAIN) at the Riyadh Techno-Valley (RTV), which is part of King Saud University in Saudi-Arabia. Spencer Dock is a 11.7 hectare site in Dublin’s north docklands, which was masterplanned by STW to accommodate a mix of commercial and residential uses. The centrepiece of the development is a 1.5 hectare performance square, around which the various commercial and retail developments are planned in four quadrants. The street planning provides for the reinstatement of the distinctive grid-street pattern typical of the docklands area. Mayor Street is reinstated as an east-west axis through the development. To the west of the site is Spencer Dock, which forms part of the Royal Canal. The overall development in the vicinity of the dock, comprising a conference centre south of Mayor Street, and a residential development north of Mayor Street, exploits the potential of the water body for amenity and social development. Every so often there comes a unique opportunity to create a civic building that offers through its architecture and facilities exciting new public spaces and vibrant architectural experiences. The new Cork Arena is such an opportunity. This project is the development of a truly multi use and flexible facility that is animated and enlivened during both day and evening. By assembling a team of consultants, who have thorough international knowledge of the management of such a facility, we have developed a design which is capable of housing a wide variety of events and functions catering for anything from a seated national conference of 3000 delegates in the main space, or a concert for circa 6000 fans, or a more intimate seated theatre evening for 450 patrons. In 1967, Scott Tallon Walker were commissioned to design a Cigarette Factory in the town of Dundalk, midway between Belfast and Dublin. By the time production ceased some 30 years later, the structure had become a modern architectural icon. In 2001 PJ Carroll’s cigarette factory was acquired by Dundalk Institute of Technology with the objective of converting it in order to house its School of Informatics and Creative Arts. The existing building, is recognised as one of Europe’s finest examples of modern industrial building designed in the Miesian style. Our client regards this project as ‘an epic transformation’ demonstrating ‘architectural thinking and conservation at its best’, a view reinforced by the receipt of an RIBA Regional Award in 2012. Marymount University Hospital & Hospice is a healthcare facility which provides two distinct services: continuing care for the elderly including respite and intermediate palliative care; and hospice care for patients with progressive cancer and non-cancer illnesses. Constrained by sub-standard conditions in their original 1870s facility, our client sought a new building embodying best practice in palliative and elderly care. The selected greenfield site offered therapeutic benefits to patients, but was constrained by its proximity to a registered monument, orbital road and an industrial ‘Seveso’ zone. The New Humanities and Social Sciences Research Building is home to the English & Media Studies Department, the National Institute for Regional & Spatial Analysis, and the Institute for Research in Irish Historical and Cultural Traditions. The co-location of these institutes in the new building has enhanced their ability to work collaboratively and to lead nationally funded research programmes. The new building was the first to be delivered under the University’s new strategic masterplan ‘Vision for Maynooth ’and was completed as planned within a very tight 13 month programme. The 5G Innovation Centre is Britain’s largest telecommunications innovation research centre, working to create 5G, the fifth generation of mobile cellular systems. 5G focuses on providing far greater capacity at lower power consumption. Enterprise Ireland is the Government agency in Ireland responsible for supporting Irish businesses in the manufacturing and internationally traded service sectors. They developed a brief in conjunction with DEGW for their new headquarters which located all their staff in one location at East Point which is recognised as Ireland’s most successful business park and is home to a vibrant mix of indigenous, multinational and ‘Fortune 500’ companies. The Radio-Pharmaceutical project at the Royal Marsden Hospital involved both a GMP production facility and a research centre for the Institute of Cancer Research. The building is located beside the main entrance to RMH (Surrey) and the steeply sloping site gave the solution. Located on a prominently elevated terrace to the north side of Cork City, in an Architectural Conservation Area, St.Patrick’s Place is a mixed use type development comprising of a new build commercial / retail / office block and a residential development within an existing adjacent building. The new build is a 5 storey building consisting of a 2 storey basement carpark, lower and ground retail floors, and overhead office and penthouse apartments. The residential development consists of the refurbishment of an existing building including the retention of the front protected façade. St Thomas More Catholic Upper School is one of the top performing schools in the Borough of Bedford. In order to enhance its specialty status for humanities subjects, the school commissioned Scott Tallon Walker Architects and Arambol Associates Project Managers to undertake the design and construction of a new activity centre. Stockyard Office Development The Stockyard development is a six storey over basement carpark contemporary design office building on the corner of Sheriff Street Upper and Abercorn Road in Dublin's docklands. The Tyndall National Institute at the National University of Ireland, Cork, is one of Europe’s leading nanotechnology research centres, the Tyndall Institute specialises in ICT hardware research commercialisation of technology and the education of next generation researchers. Tyndall has a critical mass of over 370 scientists and support staff. The Institute is located in a physically constrained riverside site, within a listed 19th century distillery complex. The form of the new 5,600 sq.m research building stems primarily from its scientific brief, but responds also to the existing buildings on this sensitive site. The Western Gateway Building is a physical expression of the ambitions of the National University of Ireland, Cork, as an internationally competitive, research-led University. This highly flexible, exceptionally sustainable education and research facility is regarded by our client as a flagship asset in their efforts to attract and retain the best international talent. Bank of New York Mellon fit out Cork BNY Mellon's Irish operations are a centre of excellence and a major hub from which the company services its global clients. They have a strong history spanning over 20 years in Ireland with offices in Cork, Wexford and Dublin who deliver a broad range of services to traditional and alternative asset managers, banks, pension funds, insurance companies and corporates. Bank of New York Mellon fit out Dublin BNY Mellon's Irish operations are a centre of excellence and a major hub from which the company services its global clients. They have a strong history spanning over 20 years in Ireland with offices in Cork, Wexford and Dublin who deliver a broad range of services to traditional and alternative asset managers, banks, pension funds, insurance companies and corporates. Claremont New Community Residential & Day Care The community residential facility at Claremont is the first in a new phase of elderly residential facilities being developed in the North Dublin area by the Health Service Executive. Historically, the development of Cobh has been inextricably tied to its location and setting on Cork Harbour and by maritime activities. This evolving relationship continues to define the town. Cobh Town Council has commissioned a multi-disciplinary team led by Scott Tallon Walker Architects to prepare a sustainable urban development framework for the revitalisation of Cobh Town Centre, with particular focus on the Cobh waterfront and its potential to attract investment and support. One of Ireland’s leading law firms, McCann FitzGerald Solicitors are committed to providing the highest quality legal services in Ireland and abroad. Following a limited design competition, Scott Tallon Walker Architects were chosen to create a new headquarter building for over 450 staff which would reflect the firm’s brand and ethos and respond to the current and future needs of a dynamic corporate legal practice. The original site for the RPU at Preston was to have been in a courtyard in the centre of the hospital. Following a review of the feasibility of the proposal, Scott Tallon Walker suggested that the building could be incorporated into the green belt around the perimeter of the hospital site located beside the main entrance to RMH (Sutton) and the steeply sloping site gave the solution. The Radio-Pharmaceutical project at the Royal Marsden Hospital involved both a GMP production facility and a research centre for the Institute of Cancer Research. A critical component in the Masterplan for the urban regeneration of Spencer Dock, designed by Scott Tallon Walker, is our design for this 616 unit luxury private apartment and penthouse development. Encouraged by our Clients, Treasury Holdings, we recognised the challenge in the Masterplan for the provision of a vibrant residential urban addition, integrated with the surrounding mix of development. St. Vincent’s University Hospital is the major acute teaching hospital serving the south-east of Dublin city. The 470 bed hospital provides over 40 medical specialities including the National Centre for Adult Cystic Fibrosis, the National Liver Transplant Unit, and is one of 8 specialist national cancer care centres in Ireland. Since 1997, STW has maintained and updated the Development Control Plan for the hospital, and has been privileged to oversee the delivery of over £300 million of capital projects on the campus in that time. The project consists of a new student residence scheme adjacent to the new Western Gateway Building on the Western Road in Cork. The building has been located on a highly prominent site and, as such, has been designed as a landmark structure marking the entrance to Cork City from the west. The scheme has been designed in accordance with Section 50 of the Finance Act 1999 and to provide for ‘Section 23’ relief. STW have been working on the Cork South Docklands project since 2003. Representing major landowners in the area and collaborating with Cork City Council, we prepared an initial masterplan for three urban quarters (west, central and east) along a light rail / public transport corridor, with new bridges across the River Lee connecting to national road infrastructure, a continuous waterfront promenade connecting to the city centre and provision for a waterway ferry service. Air Traffic Control Tower Cork Airport Following on from the Air Traffic Control Centre at Shannon, The Irish Aviation Authority commissioned Scott Tallon Walker Architects to design the new Air Traffic Control for Cork International Airport. The original FAS buildings in Ballyfermot in Dublin were created in 1972 by converting an existing factory unit to provide workshops, classrooms and student facilities.The client, FAS, is an Irish governmental employment authority which promotes job opportunities and training courses for the Irish workforce. GIP Cyroi is a multidisciplinary biopharmaceutical research facility, constructed in two phases to accommodate an unusually diverse range of public and private sector users. The site on La Reunion - a French island in the Indian Ocean with a population of 800,000 - posed serious environmental challenges including tropical climate, flash flooding and hurricane winds of up to 270 km/h. The project brief included a cyclotron for radiopharmaceutical production and research, laboratories, micro-PET facility and vivarium. A second phase provided an insectarium for research into the mosquito spread tropical disease “Chikungunya,” which killed 219 people on the island in 2006. Living Health Clinic primary care centre is a community based medical initiative. Not only has this building consolidated and organised GP services within the town, it has extended complementary services of HSE services, health community meeting facility, pharmacy, a café, a gym, a dentist and a physiotherapist, catering for the population of Mitchelstown and its greater surrounding environs. The approach view from Cork allows the building to sit within the backdrop of the Galtee Mountains, ensuring the building is rooted into the site through comprehensive landscaping and retention of existing landscape features. Spencer Dock is a 11.7 hectare site in Dublin’s north docklands, which was masterplanned by STW to accommodate a mix of commercial and residential uses. Our developer client sought a high quality commercial office development with an emphasis on flexibility to maximise future options for single or multiple tenancies subdivided either vertically or horizontally. The integration of retail units at street level was also a planning requirement to animate the urban street with its new light rail line. St Paul’s Glenageary is one of the largest Church of Ireland Parishes in the Republic of Ireland. The original church building was completed in 1864 but was subsequently extended three times over the following 45 years. In 1912, a Parochial Hall was erected some 250 metres from the church on Adelaide Road, a physical separation that continued to concern parishioners until 1996, when a decision was taken to explore the possibility of placing it’s community centre on the same site as the church. The planning process took some time as the church is a Protected Structure, located in an Architectural Conservation Area. The new community centre opened in Spring 2007. Dublin Airport is the principle gateway to Ireland and is one of the most significant single economic entities in the Dublin region. The annual number of passengers using the airport increased from 2 million in 1982 to 23.5 million in 2008. The long term vision for Dublin Airport is to locate future terminal capacity on the western side of the designated airport area, creating a second airport node to balance the increasingly congested existing (Eastern) Campus, and to provide for a dedicated freight centre. The land use plan developed for the Western Campus incorporates development zones to house the facilities required for Dublin Airport to reach the maximum development potential for the proposed parallel runway system. It is expected that the Western Campus would be developed in response to demand generated by airport capacity requirements and other commercial considerations. The Cavanagh School of Pharmacy co-locates teaching facilities for the Department of Pharmacy with an advanced Analytical and Biological Chemistry Research Facility (ABCRF). 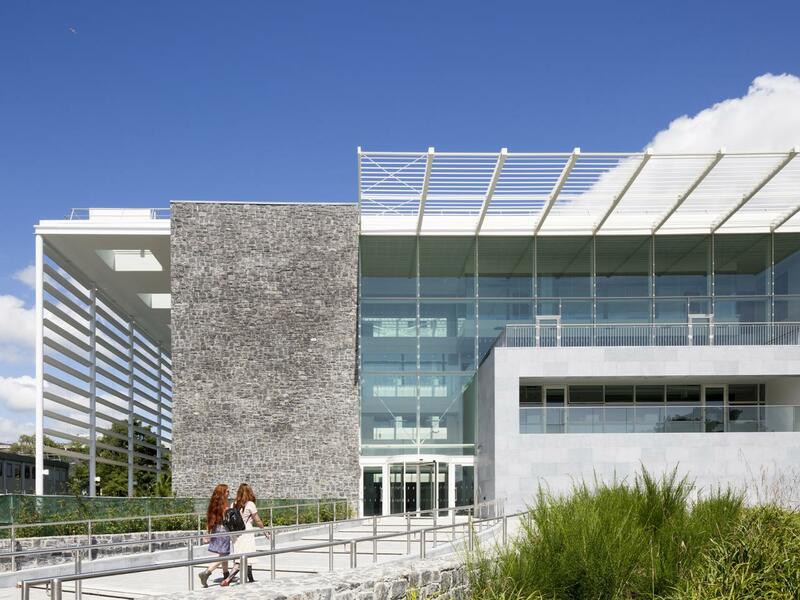 For our university client, the development of a centre of excellence in pharmaceutical teaching and research is a natural response to the internationally significant industrial cluster in nearby Cork Harbour. The harbour is home to over 100 pharmaceutical companies, including 8 of the 10 largest firms in the world. The new building includes an industry suite to facilitate partnerships with industry, ranging from startups to multinationals. 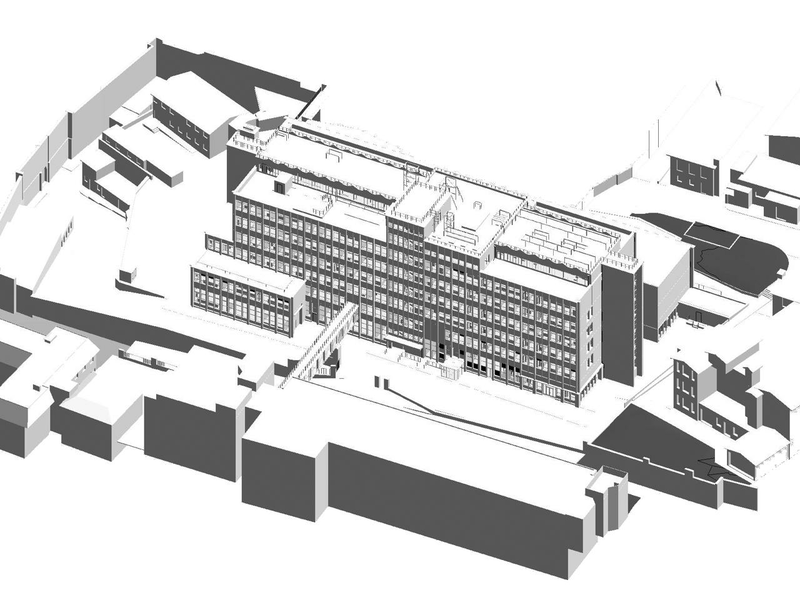 The Blackrock Hospital and Clinic has been undergoing a managed programme of extension, refurbishment and upgrading in every department, all carried out in the live hospital environment under an STW masterplan. Strategically located on the western half of Little Island the site has excellent accessibility to the Port of Cork, national road and rail networks. The site is bounded to the north and east by the industrial development and estate roads, and to the south by Lough Mahon. Most of the surrounding industrial land is zoned for industrial use, however there are some mixed residential areas located to the north of the facility. Scott Tallon Walker are part of the masterplanning team charged with the task of ensuring that appropriate and sustainable development can take place on the entire site to beneﬁt the locality and the region in general. Dublin City University is a university situated on the Northside of Dublin in Ireland. The new multidisciplinary research centre for the National Institute of Cellular Biology at Dublin City University, Ireland, accommodates researchers in fundamental and applied cellular biotechnology, molecular cell Biology, ocular diseases and biological chemistry. The NICB is also home to Molecular Therapeutics for Cancer, Ireland (MTCI) - a Science Foundation Ireland-funded Strategic Research Cluster which aims to discover and develop new anti-cancer drugs. Fingal County Council is a local authority north of Dublin city. The council serves a population of over 270,000 with one of the youngest demographics and fastest growing populations in the country. The design of modern civic offices invites an architectural response which expresses the council’s values of openness and excellence in public service delivery, accommodating the demands of an intensively used public building while providing a high quality working environment for staff. However, the selected suburban backland site also presented challenges to the creation of a building with civic presence. The Jesuit Order of Priests approached Scott Tallon Walker with two distinct issues. A twenty year old nursing home had become outdated and was too small for current and projected needs and the existing accommodation block for the neighbouring Community was outdated, oversized and inappropriate for modern living. Our developer client sought a signature headquarter office building on the most prominent part of the site, adjacent to the National Convention Centre and enjoying uninterrupted river views. ‘Big 4’ accounting firm PwC would occupy half of the building with additional office space to the rear available for subletting in single or multiple tenancies. The decision of PwC to locate in Spencer Dock is a testament to the design quality of the individual buildings and the wider mixed use urban quarter. The business appeal of this location was further demonstrated when Belgian bank Fortis agreed to lease the rear building. St. Vincent’s University Hospital is the major acute teaching hospital serving the south-east of Dublin city and is the primary trauma centre for a catchment population of 300,000. The 470 bed hospital provides over 40 medical specialities and is one of 8 specialist national cancer care centres in Ireland. In 1997, the hospital commissioned STW to prepare a Development Control Plan to guide the development of the hospital, optimize the use of the prime inner-suburban site, and create a coherent vision which would support the business case for future publicly funded projects. STW is proud to have undertaken over 100 projects for St Vincent’s, ranging from rapid options-appraisals and feasibility studies to the design and delivery of over £300 million of capital projects. The site is in a tight urban environment in central Belfast, with listed buildings to the west and north. The aim of the design was to provide a modern building to stand alongside the listed Trustee Savings Bank and the State Building. The 2.5 acre site was home to a well-established car distributorship. The challenge was to reinvigorate the distributorship’s brand image, double the length of road-front showroom display and maximize the efficiency of the site for parking and external display. Built in the early 1800s, Dun Laoghaire harbour provides a dramatic setting for the creation of a sculptural building to house Ireland’s national cultural centre. In 2004, following an international design competition, the Scott Tallon Walker proposal was one of the four shortlisted schemes. Unfortunately the project was abandoned and the granite pier now lies quietly awaiting its destiny. City Quay Competition As part of an architectural competition in 20014, Scott Tallon Walker submitted an entry to for a site on the City Quay in Dublin. The composition creates an imposing main entrance on the axis of the Talbot Memorial bridge, probably the best vista for any building on the river and an ideal location to allow a building height in keeping with the George’s Quay development and Liberty Hall. The Kinsale Harbour Development proposal is for a mixed use development comprising a 121 bed hotel, 8 no. apartments, retail and a 295 space public car park. The location is situated on a key site in the centre of Kinsale. Millennium Park is located in Naas 20 km from Dublin beside the main M7 motorway to Limerick. A total site of 200 acres has been planned as an information age campus with offices, housing, leisure facilities, hotel and ‘Park Centre’ retail facilities. The commission was to masterplan and design the first phase of office buildings at Millennium Park in Naas, Co. Kildare, Ireland. 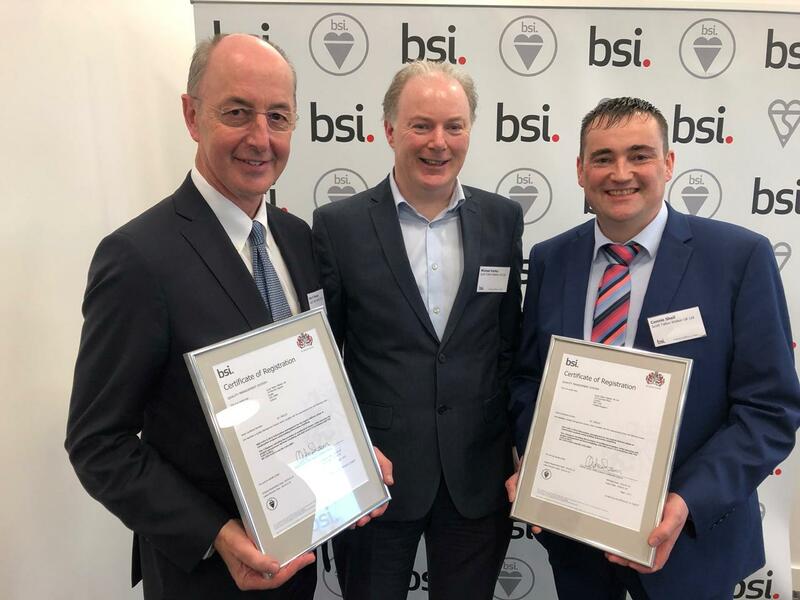 The Crosbie’s Yard development will benchmark standards to be achieved for future quality apartment accommodation near to the centre of Dublin. The site is located a short distance to the north of Spencer Dock at the junction of Ossory Road and West Road, about a fifteen minute walk to the North Wall Quay and the Liffey. Keele is the first of the UK cyclotron building designed by Scott Tallon Walker. The facility incorporates a P.E.T. scanning dock designed with Alliance Medical to take a mobile P.E.T. scanner as well as a cGMP production facility for the radiotracer (F.D.G.) used in P.E.T. scanning. In 1859, the Royal College of Physicians of Ireland purchased the former premises of the Kildare Street Club, but unfortunately the property burned down prior to the college taking occupancy, resulting in their commissioning William Murray to design their new building on the site. In 1864, the RCPI moved into its current purpose built building, at 6 Kildare Street. The building was constructed in three phases, over a period of twenty years, with the main entrance and reception halls being completed in 1863, followed by the Council Rooms and then the College Hall. The building is almost a true replica of the Royal College of Physicians of Edinburgh. The care of the building has been entrusted to many architects over the years, with our having been involved in its conservation since 1977. With over 30,000 students from over 120 countries, the National University of Ireland, Dublin, is Ireland’s largest and most diverse university. The Conway Institute at the National University of Ireland, Dublin, is an interdisciplinary research centre bringing together over 550 researchers and clinicians studying the molecular pathogenic mechanisms that underlie major chronic diseases including diabetes, vascular diseases, cancer and neurodegeneration. Conceived as an extension to a biotechnology building previously designed by the practice, the Institute now extends to 11,500sqm in a layout which resolves the conflicting access and security requirements of co-located undergraduate teaching and advanced biomedical research. Dundalk Institute of Technology (DkIT) is a 36 Ha campus situated in Dundalk, County Louth, Ireland, halfway between Dublin and Belfast (each approximately 80 kilometres away). The campus is 800 metres from the main Dublin Belfast road and 3 minutes drive from the M1 motorway to Dublin. Nursing and Health Studies is part of the School of Health and Science. 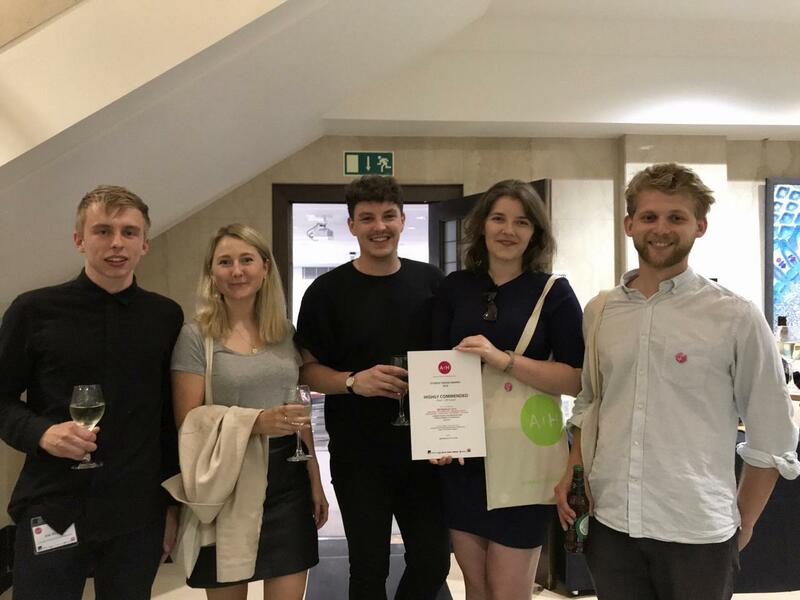 Following international recognition of the quality of the Irish Blood Transfusion Service building, Scott Tallon Walker were shortlisted among only five European offices to participate in a competition to design the Pharmacopée in Strasbourg. The office building forms part of a mixed-use urban renewal development which includes a commercial / residential building. The design had to address the general character of the area, and consider the two 18th-century listed houses which form the corner with Copley Street. The design competition for the IFSC Clarion Hotel at North Wall Quay within Dublin’s Docklands, held by the Dublin Docklands Development Authority, was won by Scott Tallon Walker Architects. Dundalk Institute of Technology is a third level institution offering higher and further education to the north east of Ireland from its strategic location midway between Belfast and Dublin cities. In keeping with its ambition to provide university standard of education, DkIT commissioned STW to design a modern academic library to transform the learning and research environment for its rapidly expanding student population. Wyeth Pharmaceutical required a warehouse and distribution centre for the Irish Market. The warehouse, built to GMP standards, stocks drugs and pharmaceutical products and the associated office is the management centre for Wyeth’s local distribution centre. Denzille Lane Mews Development The offices of Scott Tallon Walker have been located at Merrion Square since 1928. The mews scheme was developed on the three sites at the rear of No 19, 20 and 21 Merrion Square to provide interchangeable office and residential accommodation, to facilitate the varying demands for architectural studio space. East Point is recognised as Ireland’s most successful business park and is home to a vibrant mix of indigenous, multinational and ‘Fortune 500’ companies. The quality and enduring appeal of the scheme has been internationally recognised with the British Council for Offices twice using the park as a venue for its Annual Conferences. More importantly, its success is evidenced by high tenant demand and permanently low vacancy rates, while we are proud to maintain a continuing involvement with repeat fitout commissions from new and existing tenants. The Data Centre is a state of the art webhosting and collocation facility for Eircom, Ireland’s premier telecommunications provider. The site, in Citywest Business Park in Dublin, was chosen for its strategic importance in the existing telecoms network, adjacent to the point of arrival in Europe of the Global Crossing link from the USA. A&L Goodbody Headquarters A & L Goodbody is a leading law firm of over 80 partners and 400 legal staff with 6 offices across Ireland, the UK and the USA. Entering its second century, the firm required a new Dublin headquarters to reunite staff from three office locations and underpin their ambitions for growth. The prominent, south facing, riverfront site demanded a building of the highest design quality, as part of a major regeneration of this redundant dockland area into a vibrant mixed use urban quarter within Dublin’s International Financial Services Centre. For an architect, building your own house is a huge challenge. As client, the designer has no constraints, only the self-imposed. The design of Guild House office building, located facing east over the restored Royal Canal Basin at Spencer Dock, is a direct response to the building height restriction, the depth of the site and the minimum flood level for Dublin, resulting in deep plan building. The Irish Times is Ireland’s paper of record. The cramped, city-centre premises occupied by the newspaper throughout the 20th century were left for a state-of-the-art printing plant and distribution centre on a greenfield site outside Dublin. The challenge was to integrate the architectural design with the latest newspaper production process design, both of which were developed in tandem, while building in future flexibility. Mayor House was the first completed building in the newly extended IFSC in Dublin. The design has provided a highly efficient building in terms of its function and ability to attract investors and tenants. The National Blood Centre provides offices, laboratories and production facilities, becoming one of a handful of buildings worldwide that pioneered the application of pharmaceutical industry standards – Good Manufacturing Practice (GMP) and Good Laboratory Practice (GLP) – to the design of blood banks which underpins the safe and secure blood supply for 4.5 million people. Allegro Development, Sandyford The site for the Allegro Office Development is located within Sandyford Industrial Estate, an established commercial/industrial area in South County Dublin. The site measures approximately 7.5 acres and the development consists of six four-storey office buildings linked by an external pedestrian ‘street’. The Irish National Cancer Strategy called for a breast cancer screening programme for all women aged 50 to 65. Centres of Excellence were established in four locations around Ireland. The Merrion Unit located on the St. Vincent’s university hospital campus in Dublin was the first purpose-built facility to be designed as part of this programme. The unit serves a population of 160,000 women, and carries out 55,000 mammograms each year. GE Capital Woodchester GE Capital Woodchester wished to develop a building to house their expanding European Customer Services Centre. The building is mainly a call centre resulting in a heavy cooling load, normally requiring full air-conditioning. The client had expressed an interest in a low-energy building. The existing mortuary in SVUH was designed in the 1950s and did not meet the current infection control standards in a modern mortuary. Our commission was to enhance the existing facilities to bring them up to date and provide for the needs of a large teaching hospital. An expansion of the existing facility was the most cost effective way of expanding the service. The existing facility was retained in use for most of the construction stage which provided numerous challenges. This new crane mounting facility and headquarters offices for Versalift Distributors (UK) is at the entrance to a new industrial park near Burton Latimer, set amongst agricultural and woodland areas on a level site. This project shows Scott Tallon Walker’s ability to integrate industrial building into sensitive environmental areas. 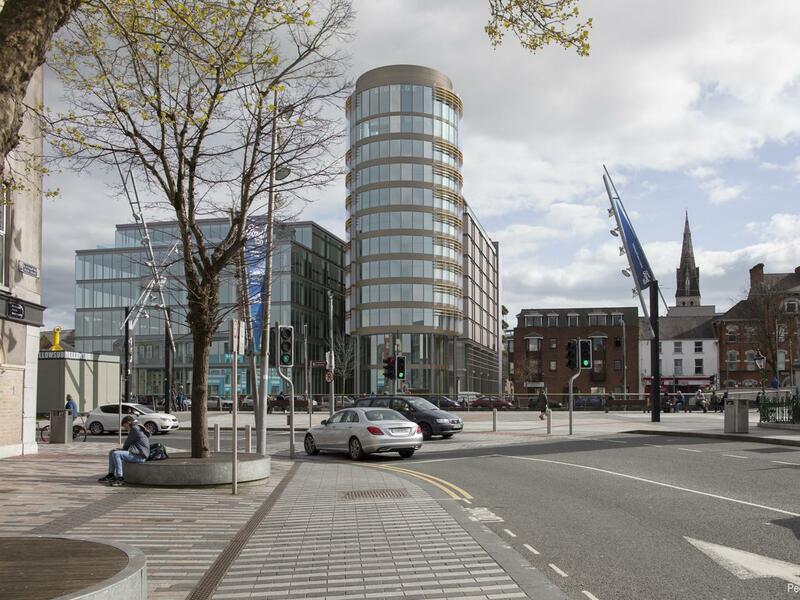 Dublin’s growing attractiveness as an international hub for financial services received a boost with the decision of Citibank to commission a major new headquarter building. The client brief was to create a bright modern working environment for 2,000 staff working in their expanding front office and global support operations, including an important support centre serving more than 52 countries across Europe, the Middle East and Africa. The international importance of the Dublin operation was recognised with the recent establishment of Citi’s first ‘Innovation Lab’, dedicated to research and development in the financial services industry. STW were again engaged to conceive and create a bespoke working environment honed to the needs of creativity and innovation. Eircom is the principal provider of fixed-line and mobile telecommunications services in Ireland. The Network Management Centre is the critical nerve centre from which the country’s telecommunications network is monitored and managed around the clock, with associated office accommodation for technical support staff. The site at Dublin’s Citywest Digital Park was selected for its strategic location at the first point of connection to the ‘Global Crossing’ high-speed fibre optic cable to the USA. The project also included a 30m telecommunications mast. The McArdle house was designed for a small site between existing residential units in an established housing estate in south Dublin. The project at West Pier Dun Laoghaire was on an unusual site, to the north it had stunning views over Dun Laoghaire harbour to Dublin Bay and Howth Head, and to the south a steep 15-20m high escarpment bounded the site, so effectively is was at the base of a cliff. Dublin City University is a university situated on the Northside of Dublin in Ireland. The School of Computing at Dublin City University provides undergraduate degree programmes in Computer Applications, Enterprise Computing and Data Science. Additionally the School of Computing provides postgraduate courses aimed at producing graduates with the professional and personal skills most sought after in the modern information Economy. This building is an extension to the existing School of Computer Applications at Dublin City University and provides computer laboratories for undergraduate teaching and postgraduate research. Dollar Bay Apartments The project was the subject of a design/build competition awarded by the London Docklands Development Corporation. The Shannon Air Traffic Control Centre is a key component in the Irish national air navigation system. It provides control for all air traffic operating in Irish airspace reaching out into the North Atlantic to include all over flying aircraft crossing from America. The Design was the winner of an international architectural competition. St.Vincent's University Hospital Materplan St. Vincent’s University Hospital is the major acute teaching hospital serving the south-east of Dublin city and is the primary trauma centre for a catchment population of 300,000. The 470 bed hospital provides over 40 medical specialities and is one of 8 specialist national cancer care centres in Ireland. In 1997, the hospital commissioned STW to prepare a Development Control Plan to guide the development of the hospital, optimise the use of the prime inner-suburban site, and create a coherent vision which would support the business case for future publicly funded projects. The construction of a tulach or burial mound, as a place of connection between the world of the living and the "other world" was common in ancient Ireland. The United Irishmen's uprising of 1798, fuelled by the revolutionary example of the United States and France, took place at Oulart Hill. Victory led to the establishment of the fledgling Wexford Republic; defeat at Vinegar Hill three weeks later, on the summer solstice, June 21st, marked its eclipse. Tulach a' tSolais, was built to commemorate the bicentenary of this rebellion and is the product of dynamic collaboration between the sculpture Michael Warren and Dr. Ronald Tallon. This residential project won a design competition organised by the London Docklands Development Corporation for an apartment development at Middle Wall Dock, City Harbour, London. Dublin City University is a university situated on the Northside of Dublin in Ireland. The O’Reilly Library and learning resource centre was the winner of the coveted SCONUL triennial Design Award, judged by librarians. The open and agile design of the Library combines architectural elegance and a high level of sustainability with functionality, presenting users with an environment that is at once bright, flexible, accessible and comfortable. Dundalk Institute of Technology (DkIT) is a 36 Ha campus situated in Dundalk, County Louth, Ireland, halfway between Dublin and Belfast (each approximately 80 kilometres away). The campus is 800 metres from the main Dublin Belfast road and 3 minutes drive from the M1 motorway to Dublin. Hospitality Studies is part of the School of Business and Humanities. Scott Tallon Walker Architects have been involved with a number of retail projects for Marks and Spencer in both the UK and in Ireland. UK projects include the first Marks and Spencer store in the city of London at Moorgate; a development in Temple Fortune, London NW11; and a refurbishment of a Grade 1 listed building in Belfast for their retail occupation. This major office development forms the latest phase of the RTE campus master plan by STW in the early 1960s. The architecture on the RTÉ campus expresses the continuity of design philosophy practiced by Scott Tallon Walker over a period of forty years. The human scale is maintained, and the mass of the building is never allowed to dominate the people who use them. Buildings overlap, making a continuity of scale and spaces related to each other. With over 30,000 students from over 120 countries, the National University of Ireland, Dublin, is Ireland’s largest and most diverse university. Since the 1960s the university has been developing a modern 130 hectare campus and in the 1990s identified the need for a new Aula Maxima to accommodate conferrings, conferences and alumni events. Following a limited architectural competition, STW were appointed to design a classically proportioned building on a lakeside site at the heart of the campus. Brown Thomas, Ireland’s premier department store, decided to move to larger premises across Grafton Street, which comprised an assembly of eight period houses and several mews warehouses that had all been interconnected over the previous century. These two mews houses are in the rear garden of a nineteenth-century house on Lansdowne Road. The houses are entered through granite-cobbled courtyards, enclosed by the original granite garden walls and timber gates. The courtyards provide space for car-parking. Few places in Dublin city could claim a higher profile than the site selected for the new Civic Offices at Wood Quay. Decades of controversy, important archaeological remains and a previous half-finished scheme provided the context for the international architectural competition, won by STW, to provide Dublin with Civic Offices of which the city could once again feel proud. The new Civic Offices complex in Dublin City was completed in 1994 and was the culmination of Dublin Corporation’s (now Dublin City Council’s) plan to redevelop their Wood Quay site. The house is located on a south facing sloping site looking towards the Dublin Mountains. The design respects the orientation by keeping all non-habitable and work uses along the north side, using a solid brick expression, punctuated as required, with the living areas to the south overlooking the parkland landscaping of the site. Goulding Summer House Originally designed for Sir Basil Goulding, a great gardener and art collector; He was so concerned about his beautiful gardens along the Dargle Valley that he wanted the new building to take up as little of the garden as possible. The RTÉ studios at Donnybrook in Dublin were masterplanned by Ronald Tallon in 1960. The initial brief was just for a Television building but by 1963 the young RTÉ company was so successful that a new master plan was prepared as a campus layout to allow different disciplines expand independently and at different rates. RTE continued to expand, further land was purchased and a further master plan was made in 1974. RTÉ held to the original architectural discipline, resulting in a unity of expression to all buildings on the site. Further buildings were added in the 1980s and the 1990s.